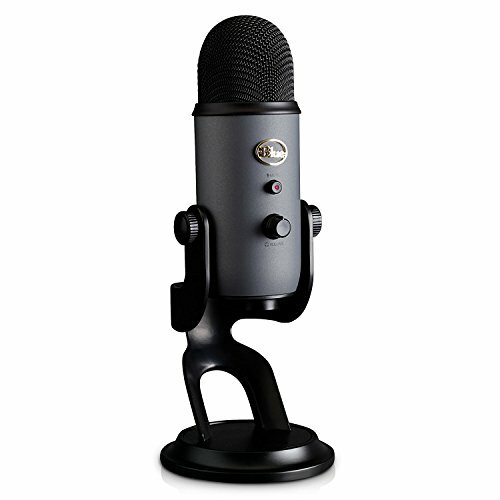 The Blue Yeti USB Microphone employs a unique, tri-capsule design and the ability to capture audio in up to 16-bit, 48 kHz resolution. 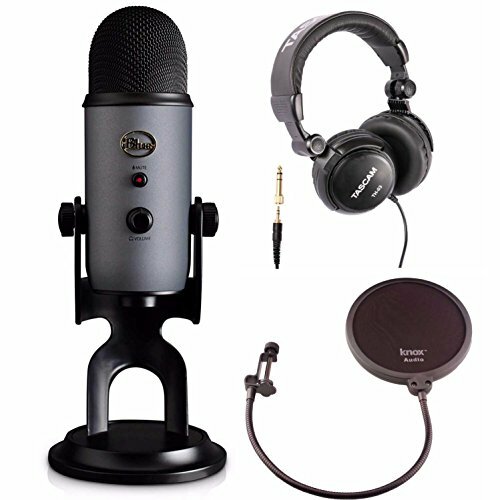 This studio-quality microphone is highlighted by a mic with an integrated headphone amp that’s backed by an independent gain control for latency-free monitoring. 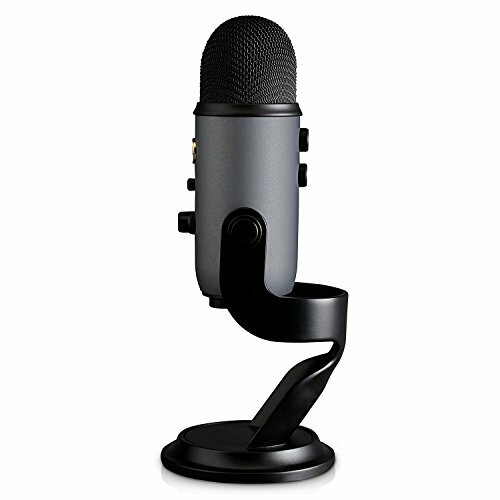 Other features include microphone gain control, an instant mute function and an included stand that allows for pivoting in a variety of angles for ideal placement. Yeti features studio controls for headphone volume, pattern selection, instant mute and microphone gain—putting you in charge of every level of the recording process. If you’re experiencing distortion or feedback while recording an especially loud source—like the deafening sound of an avalanche—simply adjust the microphone’s sensitivity with the gain control. Or if you want to take a break in the middle of a podcast, use the instant mute button. Stereo Mode – The stereo mode uses both the left and right channels, and is ideal for capturing a realistic, general sound image. 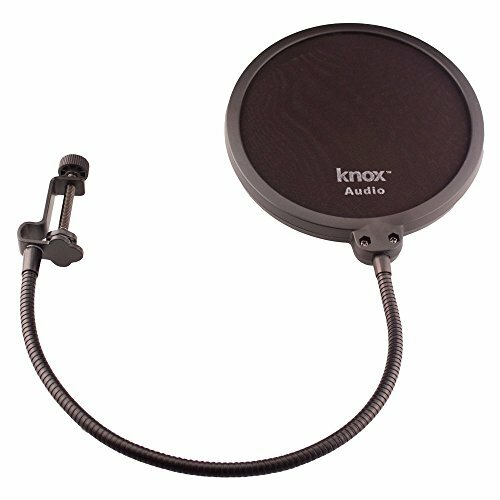 Cardioid Mode – Well-suited for podcasts, vocals, or game streaming, cardioid mode records sound sources that are directly in front of the microphone. 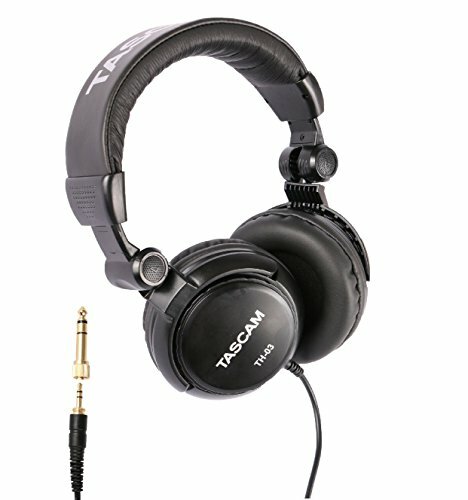 It delivers a rich, full-bodied sound. Bidirectional Mode – Bidirectional mode records from both the front and the rear of the microphone. 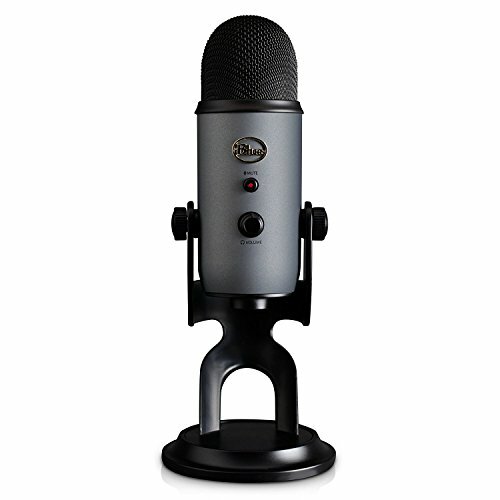 It’s ideal for capturing the nuance of a musical instrument, or recording an interview between two people.